BRIDGETON, Mo. 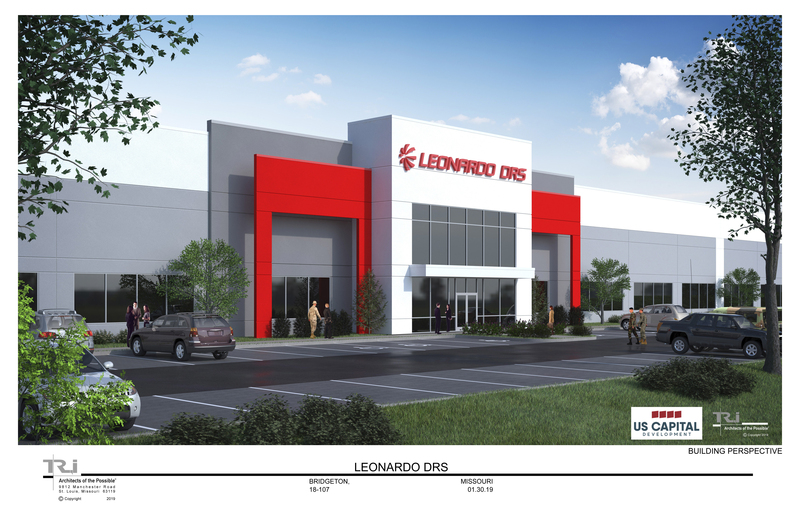 – US Capital Development (USCD), real estate development firm, secured the site to develop a 171,000 square foot build-to-suit facility, which will become home to Leonardo DRS’ Land Systems line of business. Announced on Friday, the groundbreaking for the project is expected to take place in mid-February and be completed early 2020. The new facility is located directly adjacent to Interstate 70 and St. Louis Lambert International Airport (4545 N. Lindberg Blvd.). US Capital Development is a first-class corporate office and industrial developer. According to a news release, the firm is very active in the build-to-suit sector. USCD’s principals have worked with clients including Amazon, GE, LKQ, Owens Corning, Honeywell, Hubbel Killark and more. A “mission-critical engineering development and light manufacturing” to accommodate Land Systems’ growing business. The new site will also home Land Systems unit’s headquarters, replacing the existing DRS Land Systems facility in Cool Valley, Mo., which is over 50 years old. Leonardo DRS reported that the new site in Bridgeton will allow the business more space to build a modern facility while also providing flexibility to expand with little impacts on the current workforce. Over 300 employees will be relocated to the new headquarters when the facility is completed. Leonardo DRS is a leading integrator of a variety of systems for U.S. Army, Air Force and Marine Corps ground platforms which includes reconnaissance and surveillance, mission support and vehicle survivability and lethality. DRS also maintains an 85-acre manufacturing campus located in West Plains, Mo. According to USCD, the building will include an “attractive” tilt-up concrete exterior façade which will have extensive glass line, detailed architectural entrances and 24-foot clear heights. The interior is expected to feature new, best-in-class engineering, research and development and laboratory space. The new facility project estimated value is estimated at $32 million and will not only be the new business unit headquarters, but also housing leadership, management and centralized back-office functionality. “The folks at DRS have been excellent to work with to facilitate this development and we believe the finished product will give them the modern facility they need today while providing space for future growth,” Scott Haley, managing director of development for USCD said. Leonardo DRS also believes in supporting education within the community and is currently working with the Pattonville School District in executing a formal agreement to further Science, Technology, Engineering and Mathematics (STEM) initiatives through an extended learning opportunity (ELO) program for high school students, as well as elementary students and faculty in the district. “This is an important move and will permit our operations to advance and achieve success for our customer, the region and our community for many years to come,” Hankins said.